I’m very partial towards “enabling technologies” – the underlying technology that makes stuff tick. That’s one reason I’m so interested in semiconductors: much of the technology we see today has its origins in something that a chip or semiconductor product enabled. But, despite the key role they (and other enabling technologies) play in creating the products that we know and love, most people have no idea what “chips” or “semiconductors” are. Part of that ignorance is deliberate – chip companies exist to help electronics/product companies, not steal the spotlight. The only exception to that rule that I can think of is Intel which has spent a fair amount over the years on its “Intel Inside” branding and the numerous Intel Inside commercials that have popped up. While NVIDIA has been good at generating buzz amongst enthusiasts, I would maintain that no other semiconductor company has quite succeeded at matching Intel in terms of getting public brand awareness – an awareness that probably has helped Intel command a higher price point because the public thinks (whether wrongly or rightly) that computers with “Intel inside” are better. Well Qualcomm looks like they want to upset that. Qualcomm make chips that go into mobile phones and tablets and has benefitted greatly from the rise in smartphones and tablets over the past few years, getting to the point where some might say they have a shot at being a real rival for Intel in terms of importance and reach. But for years, the most your typical non-techy person might have heard about them is the fact that they have the naming rights to San Diego’s Qualcomm Stadium – home of the San Diego Chargers and former home of the San Diego Padres. Well, on December 16th, in what is probably a very interesting test by Qualcomm to see if they can boost the consumer awareness of the Snapdragon product line they’re aiming at the next-generation of mobile phones and tablets, Qualcomm announced it will rename Qualcomm Stadium to Snapdragon Stadium for 10 days (coinciding with the San Diego County Credit Union Poinsettia Bowl and Bridgepoint Education Holiday Bowl) – check out the pictures from the Qualcomm blog below! Will this work? Well, if the goal is to get millions of people to, overnight, buy phones with Snapdragon chips inside – the answer is probably a no. Running this sort of rebranding for only 10 days for games that aren’t the SuperBowl just won’t deliver the right PR boost. But, as a test to see if their consumer branding efforts raises consumer awareness about the chips that power their phones, and potentially demand for “those Snapdragon watchamacallits” in particular? This might be just what the doctor ordered. I, for one, am hopeful that it does work – I’m a sucker for seeing enabling technologies and the companies behind them like Qualcomm and Intel get the credit they deserve for making our devices work better, and, frankly, having more people talk about the chips in their phones/tablets will push device manufacturers and chip companies to innovate faster. I’ve mentioned before that one of the greatest things about being in the technology space is how quickly the lines of competition rapidly change. Take ARM, the upstart British chip company which licenses the chip technology which powers virtually all mobile phones today. 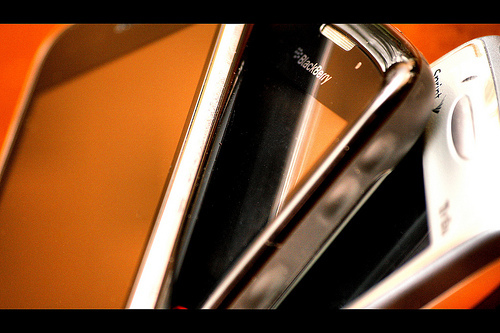 Although they’ve traditionally been relegated to “dumb” chips because of their low cost and low power consumption, they’ve been riding a wave of disruptive innovation to move beyond just low cost “dumb” featurephones into more expensive smartphones and, potentially, into new low-power/always-connected netbooks. 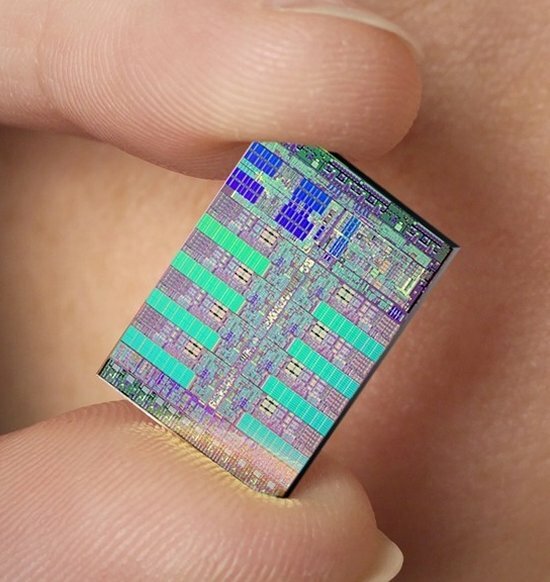 More interestingly, though, is the recent revelation that ARM chips have been used in more than just low-power consumer-oriented devices, but also in production grade servers which can power websites, something which has traditionally been in the domain of more expensive chips by companies like AMD, Intel, and IBM. It makes you wonder if we’re on the verge of another disruption in the high-end computer market. Is ARM about to repeat what Intel/AMD chips did to the bulkier chips from IBM, HP, and Sun/Oracle? My good friend Joe and I spent a little amount of time last week disassembling an Apple TV, on a personal level to both take a look inside as well as to get a sense of what folks at companies like iSuppli and Portelligent do when they do their teardowns. I was also asked to take a look at how prominent/visible a chip company in the portfolio of my venture capital employer is inside the Apple TV. Here is the what it looks like after we pry off the cover (with a flathead screwdriver or a paint wedge thing) – notice how thick the edges of the device are. This is important as I have nothing but sympathy for the poor engineers who had to design the infrared sensor and “blaster” for the remote such that it was powerful enough to penetrate that wall (but cheap enough/energy efficient enough for Apple to include it). It’s a lot simpler than you would expect. Granted, we didn’t tear down a mobile phone (which is sealed somewhat more securely – although Joe and I might for kicks someday ), but at the end of the day, much of the “magic” is not in the hardware packaging, but in software, in the chips, or in the specialized hardware (antenna, LCD). With that said, it’d probably be pretty difficult to tear down a device without someone knowing. The magic may not be in the packaging, but ODMs/EMSs like Foxconn have built a solid business around precision placement and sealing, and human hands are unlikely to have the same precision (or be able to remove/replace an EMI shield without deforming it ). Given how simple this is, I personally believe that no tech analyst worth his or her pay should be allowed to go on without either doing their own teardown or buying a teardown from someone else. It’s a very simple way to understand how chip companies will do (just look at the board to see if they are getting sales! ), and it’s a great way to get an understanding of what the manufacturing cost, design process, and technological capabilities of a device are. I’m always a fan of stories/articles highlighting the importance of Taiwan in the technology industry, so I was especially pleased that one of my favorite publications recently put out an article highlighting the very key Computex industry conference, the role of the Taiwanese government’s ITRI R&D organization in cultivating Taiwan’s technology sector, and the rise of Taiwan’s technology company stars (Acer, HTC, Mediatek, and TSMC). Much of the credit for the growth of Taiwan’s information technology (IT) industry goes to the state, notably the Industrial Technology Research Institute (ITRI). Founded in 1973, ITRI did not just import technology and invest in R&D, but also trained engineers and spawned start-ups: thus Taiwan Semiconductor Manufacturing Company (TSMC), now the world’s biggest chip “foundry”, was born. ITRI also developed prototypes of computers and handed the blueprints to private firms. Taiwan’s history also helps make it the “best place in the world to turn ideas into physical form,” says Derek Lidow of iSuppli, a market-research firm. Japan colonised the island for half a century, leaving a good education system. Amid the turmoil of the Kuomintang’s retreat to Taiwan from mainland China, engineering was encouraged as a useful and politically uncontroversial discipline. Meanwhile, strong geopolitical ties with America helped foster educational and commercial links too. Western tech firms set up shop in Taiwan in the 1960s, increasing the pool of skilled workers and suppliers. Facilitate the building of industrial parks with strong ties to R&D centers of excellence. Taiwan’s ITRI helped build the technical expertise Taiwan needed early on to gain ground in the highly competitive and sophisticated technology market by seeding it with resources and equipment. The government’s cooperation in the creation of Hsinchu Science and Industrial Park near ITRI headquarters and two major universities helped erect the community of technologists, engineers, and businessmen that’s needed to achieve a self-sustaining Silicon Valley. Make strategic bets on critical industries and segments of the value chain. Early on, ITRI recognized the strategic importance of the semiconductor industry and went out of its way to seed the creation of Taiwan’s foundries. This was uniquely far-sighted, as it not only allowed Taiwan to participate in a vital industry but it also helped create the “support network” that Taiwan needed for its own technology industry to flourish. While semiconductor giants like Intel and Samsung can afford the factories to build their own chips, small local companies are hard-pressed to (see my discussion of the foundry industry as a disruptive business model). Having foundries like TSMC nearby lets smaller local companies compete on a more even footing with larger companies, and these local companies in turn will not only grow but also provide the support basis for still other companies. Build a culture which encourages talent (domestic and foreign) to participate in strategic industries. This is one example where it’d be best not to imitate Taiwan. But, as the Economist points out, the political turmoil in Taiwan until the mid-80s made politically neutral careers such as engineering more attractive. In the same way that “culture” drove a big boom in technology in Taiwan, the environment which fostered smart and entrepreneurial engineers helped bring about the rise of the Silicon Valley as a global technology center (with the defense industry playing a similar role as Taiwan’s ITRI). Countries wishing to replicate this will need to go beyond just throwing money at speculative industries, but find their own way to encourage workers to develop the right set of skills and talents and to openly make use of them in simultaneously collaborative and entrepreneurial/business-like ventures. No amount of government subsidies or industrial park development could replace that. Learn as you go. To stay relevant, you need to be an old dog who learns new tricks. The Taiwanese technology industry, for example, is in a state of transition. Like Japan before it, it is learning to adapt to a world in which its cost position is not supreme and where its historical lack of focus on branding and intellectual property-backed R&D is a detriment rather than a cost-saving/customer-enticing play. But, the industry is not standing still. In conjunction with ITRI, the industry is learning to focus on design and IP and branding. ITRI itself has (rightfully) taken a less heavy-handed approach in shepherding its large and flourishing industry, now encouraging investment in the new strategic areas of wireless communications and LEDs. I recently read an interesting rumor off of tech blog Ars Technica that Apple has acquired small processor company Intrinsity – who’s website is, as of the time of this writing, down. In the popular tech press, very few self-professed gadget fans are aware of the nuances of the chip technology which powers their favorite devices. So, first question, what does Intrinsity and why would Apple be interested in them? Intrinsity is a chip design company known for its expertise in making existing processor designs faster and more efficient. They’ve been retained in the past by ATI (the graphics chip company which is now part of AMD) to enhance their GPU offering, Applied Micro (formerly AMCC) to help speed up their embedded processors, and more recently were used by Samsung (and presumably Apple) to speed up the ARM processor technology which powers the applications on the iPhone and the iPad. Second question, then, would Apple do it? Questions about Apple are very difficult to answer – in part because of the extreme amount of hype and rumor surrounding them, but also because they tend to “think different” about business strategy. Normally, my intuition would say that this deal is unlikely to make much sense. I’ll admit I haven’t looked at the deal terms or Intrinisty’s finances, but my guess is Intrinsity has a flourishing business with other chip companies which would probably be jeopardized by Apple’s acquisition (especially now that Apple is itself sort of a chip design company and will probably want to de-emphasize the rest of Intrinsity’s activities). An acquisition like this could also be risky as Apple’s core strengths lie in building and designing a small number of well-integrated hardware/software products. While most analysts suspect that Apple contributed a huge amount to the design of the Samsung chip that’s currently in the iPhone, Apple is unlikely to have a culture or set of corporate processes that match Intrinsity’s, and I suspect nursing a chip technology group while also pushing the edge on product design and innovation at some point just becomes too difficult to do (which may partially explain the exodus of PA Semi, Apple’s other chip company purchase, engineers post-acquisition). Of course, Apple is not your ordinary technology company, and there are definitely major benefits Apple could gain from this. The most obvious is that Apple can avoid paying licensing, royalty, and service fees to Intrinsity (which can be quite large if Apple continues to ship as many products as it does now) if it brings them in-house. Strategically, if Intrinsity is truly as good as they claim (I’ve read my fair share of rumors that the A4 processor in the iPad was a joint development effort from Samsung, Apple, and Intrinsity), then Apple may also want to take this valuable chess piece off the table for its competitors. Its no secret that major chip vendors like Qualcomm, NVIDIA, Texas Instruments, and Intel see the mobile chip space as the next hot growth area – Apple could perceive leaving Intrinsity out there as a major risk to maintaining its own device performance against the very impressive Snapdragon, Tegra, and OMAP (and potentially Intel Atom) product lines. This is a similar move to what Apple did with its equity stake in Imagination Technologies, the company that licenses the graphics technology that powers the iPhone, the Palm Pre, and Motorola’s Droid. Its widely believed that, had Imagination been willing (and had Intel not also increased its stake in Imagination), Imagination would currently be an Apple division – highlighting Apple’s preference to not license technology which could potentially remain available to its competitors, but to bring it in-house. So, in the end, does an Apple-Intrinsity deal make sense? Or is this just a rumor to be dismissed? It’s hard to say for sure (especially without knowing much about Intrinsity’s finances or the price offered), but if Intrinsity has key talent or intellectual property that Apple needs for its new devices, then Apple’s extremely high volume (and thus large payments to Intrinsity) could be the basis for fairly sizable financial benefits from such a deal. More importantly, on a strategic level, Apple’s need to maintain a performance lead over new Android (and Symbian and Windows Phone 7) devices could be all the justification needed for swallowing this attractive asset (note: AnandTech’s preliminary review shows the iPad outperforming Google’s Nexus One on web rendering speed – although how much of this is due to the iPad having a bigger battery is up for debate). 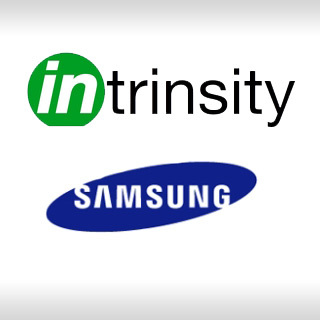 Its hard to say for sure without knowing much about how profitable Intrinsity is, how much of its business comes from Apple/Samsung, and what sort of price Apple can negotiate, but there is definitely a lot of reason to do it. I recently read The Race for a New Game Machine, a new book which details the trials and tribulations behind the creation of the chips (which run on the POWER architecture, hence the title of this post) which powered Microsoft’s Xbox360 and Sony’s Playstation 3 next-gen gaming consoles. The interesting thing that the book reveals is that the same IBM team responsible for designing the Playstation 3 chip (the Cell) with support from partners Sony and Toshiba was asked halfway through the Cell design process to adapt the heart of the Playstation 3 chip for the chip which would go into Microsoft’s XBox360 (the Xenon)! Ironically, even though work on the Xbox360 started way after work on the Playstation 3’s chip, due to manufacturing issues, Microsoft was able to actually have a test chip BEFORE Sony did. As the book was written from the perspective of David Shippy and Mickie Phipps, two the engineering leads from IBM, the reader gets a first-hand account of what it was like to be on the engineering team. While the technical details are more watered down than I would have personally liked, the book dove a lot deeper into the business/organizational side of things than I thought IBM legal would allow. Organization is important. Although ex-IBM CEO Lou Gerstner engineered one of the most storied corporate turnarounds of all time, helping to transform IBM from a failing mainframe company into a successful and well-integrated “solutions” company, Shippy and Phipps’ account reveal a deeply dysfunctional organization. Corporate groups pursued more projects than the engineering teams could support, and rival product/engineering groups refused to work together in the name of marking territory. In my mind, the Cell chip failed in its vision of being used as the new architecture for all “smart electronic devices” in no small part because of this organizational dysfunction. Know the competition. One thing which stood out to me as a good best practice for competitive engineering projects was the effort described in an early chapter about IBM’s attempt to predict how Intel’s chips would perform during the timeframe of the product launch. I’m not sure if this is done often in engineering efforts, but the fact that IBM tried to understand (and not undersell) the capabilities of Intel’s chips during the launch window helped give the IBM team a clear goal and set of milestones for determining success. That their chip continues to have a remarkably high operating clock speed and computing performance is a testament to the success of that effort. Morale is important. If there was one feeling that the authors were able to convey in the book, it was frustration. Frustration at the organizational dysfunction which plagued IBM. Frustration at not quite ethical shenanigans that IBM played in to deliver the same processing core to two competitors. Frustration at morale-shattering layoffs and hiring freezes. It’s no secret today that IBM’s chip-making division is not the most profitable division in IBM (although this is partly because IBM relies on the division not to make profits, but to give its server products a technology advantage). IBM is certainly not doing itself any favors, then, by working its engineers to the point of exhaustion. Seeing how both authors left IBM during or shortly after this project, I can only hope that IBM has changed things, or else the world may be short yet another talented chipmaker. Move like a butterfly, sting like a bee. Why did Microsoft “get the jump” on Sony, despite the latter starting far far in advance? I trace it to two things. First, immediately upon seeing an excellent new chip technology (ironically, the core processor for the Playstation 3), they seized on the opportunity. They refused to take a different chip from what they wanted, they put their money where their mouth was, and they did it as fast as they could. Second, Microsoft set up a backup manufacturing line in Singapore (at a contract chip manufacturer called Chartered). This was expensive and risky, but Microsoft realized it would be good insurance against risk at IBM’s line and a good way to quickly ramp up production. This combination of betting big, but betting smart (with a way to cover their bet if it went wrong) is a hallmark of Microsoft’s business strategy. And, in this case, they made the right call. The Xbox 360, while not selling as well as Nintendo’s Wii (which incidentally runs an IBM chip as well), has been fairly successful for Microsoft (having the highest attach rate – games sold per machine – of any console), and they had the backup plan necessary to deal with the risk that IBM’s manufacturing process would run into problems (which it ultimately did). If you’re interested in the tears and sweat that went into designing IBM’s “PB” processing core (it’s revealed in the book that PB stands for PlayBox – an in-joke by Shippy’s team about how the technology being designed was for both the PLAYstation 3 and the xBOX), some first-hand account of how difficult it is to design next-generation semiconductor products, or how IBM got away with designing the same product for two competitors, I’d highly recommend this book.